I had some contact with Loot Games when they ran their Sci-fi/PostApocalyptic 3d printable playsets for wargames kickstarter in March. They kindly sent files for their Road-Side Sandwich Shop for a review, but my printer was out at the moment, and when I had fixed it the campaign was over. Now they have revisited the old campaign in a new kickstarter and that was a great reason to make a review of the shop. I printed it on my Prusa i3 MK3 with PLA filament. Sliced with Slic3er Prusa Edition. Layer height 0.10 mm, which is preferable if you want reasonably smooth walls. Print time was 3,5 hours for the pillar, 25 hours for the house body and 21 hours for the ceiling. If your fine with rougher walls you could go for 0.2 mm, which will halve the printing time. 0.05 or 0.07 would probably give even smoother walls but printing-time will obviously be longer. The construction weigh about 270 grams. I does look a little too big for my minis, so if I make another one I'll probably print it in 80% scale or so. I will use the shop in our upcoming zombie-games of Hjärnor, and as that is set in Sweden in the 80’s I wanted the shop to look pre-apocalypse (or rather in-the-beginning-of-the-apocalypse), that is, not a wreck and without the big sign on the roof (I will probably design one of my own). My idea is a local burger-shop, a bit run-down. We had a chain of burger joints called Clock in the 70s and 80s, that fit the bill rather well, and a quick Google-check turned out a few useful menues and stuff. This is a great little shop that is unique in the way it looks. I really like it and the print turned out great. What’s not to like? Pic of the shop and sign from the kickstarter, printed with 0.2mm layer height. © LOOTgames and used with permisson. If you’re interested in this building you can pledge for it in the new kickstarter, as just the building or as part of a bundle. Check it out before it ends on April 23 2019. A short extra Crowdfunding Watch. Note: This kickstarter will end in less than 24 hours! I found this a couple of days ago and just got an okay to use renders from the kickstarter. This is all about dragons. You can get them as physical models or stl-files. The latter is what this post is all about. If I understand correctly you will get files for 7 dragons, with alternate heads, if you pledge for the stl-files. These are not of the smaller kind, but fully grown monsters. On top of that you’ll get scenic bases, breath weapons and more. My favourite of the dragons is the Kuxcoatl, a fantastic and quite different creature. But everything looks just great. Now you have to hurry, as the kickstarter ends in less than 24 hours. Do you want a look at reviews of 3D-printing stuff then check here. All renders and illustrations © Draco Studios and used with permission. A diverse crop this time, with both figures, buildings and scatter terrain. This time we start with a green nightmare. Well, a nightmare if you’re in their way and not green. This campaign will give you orcs. Lots and lots of orcs. Possibly enough orcs to make any warlord happy. Time is really the only thing to stop you printing different orc versions (and possibly sanity, but that is another issue…). They are modular, comprising heads, torsos, left and right arms, legs and bits. On top of that you can even have some boar-riders. Actually, I guess the orcs are on top of that. The boars, that is. My favourites are those boar-riders. They are looking fearsome. 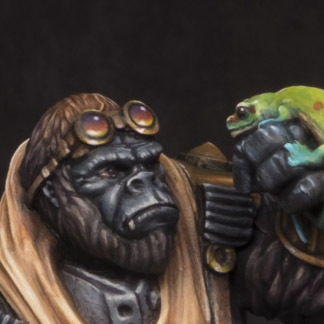 If you like to paint everything green, then this is a kickstarter for you, and you should check it out on May 2 2019 at the latest. If you’re allergic to green then it could be a good thing to travel to this place, or preferably to this kickstarter, as it is all about our more red-tinted friends from Hell. 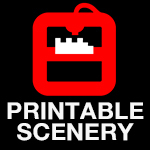 Here you can have stl-files for either the denizens of hell or scenic memorabilia of the place. 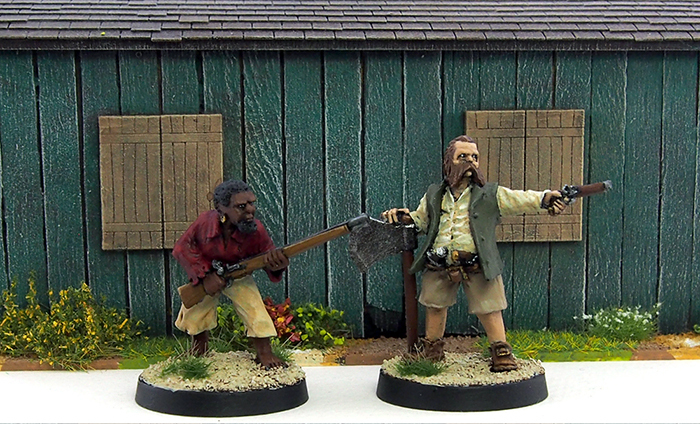 The miniatures are all of the kind you don’t want to meet in a dark alley, and they do look suitably scary. The terrain-pieces look just as unsettling, with skulls, chains, portals and more. Great looking stuff, all, and I particularly like the terrain-pieces, where my favourites are the chained pillars. They look as if they would like to escape their chains and… well, do whatever hellish pillars do when they are set free. I’ve got some review-files from this kickstarter that I intend to print as fast as possible and show you in a review before this Kickstarter ends. Check it out before May 4 2019. From a green or red hell to a bright and brilliant future. In this campaign you’re presented with buildings and equipment very suitable for any Sci-Fi setting, but I also think they would look great in, say, a 7TV-setting as part of the evil arch-villains secret base. They could even look good in a Pulp-game. There’s a great looking hangar, some bunkers, stationary weapons and machinery, scatter scenery and more. My favourites are the hangar and comms dish, as I see use for them in my Pulp games. As luck would have it I got some review files, and as I write this one piece is printing away. A post on that as soon as it is ready and painted. 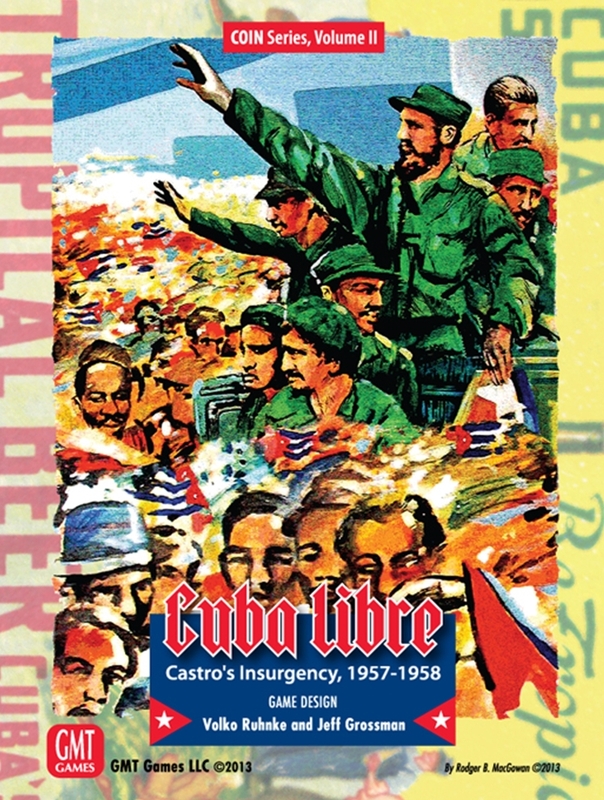 Great stuff well worth a look, but do it before the kickstarter ends on May 4 2019. If you need a big tank to put in your hangar, then you might find a plastic one, or several, here. But that’s not what I will cover, because there are also stl-files as parts of this kickstarter. You will find files for different stackable modular building-types. There are two styles, stucco and masonry, with an accessory kit to give them theme, be it WWII/Weird Wars, Contemporary and Sci-Fi with a Blade Runner feel. What is shown looks really interesting and is well worth a look. You should be able to build all sorts of cool-looking buildings for a variety of periods. My favourites are everything shown, actually. Super stuff. Absolutely worth a look, and do it before the kickstarter ends on April 7 2019. Those orcs from the Green Horde needs something to stop them. That something is usually dwarves, and this is a dwarven kickstarter. You can buy metal dwarves here, but my interest is in what they will defend, as that can be delivered as stl-files. You will essentially get palisades with wooden towers and a round stone tower. Everything looks really useful and will probably be needed if the sturdy dwarves will have any chance against the horde. Hard to name a favourite here, as you need everything to make a decent fort, but let's say everything but the stone tower. Mainly because I got so many towers already. This kickstarter ends on May 9 2019 and you should check it out before then. All photos, renders and illustrations © William Charles Chamberlin, Printed Obsession and M3Studios respectively and used with permission. An old lady on a 25mm base, as size comparison. I’m furiously building, printing and painting terrain for our Storm over Haag Chain of Command participation game for Gothcon this Easter. It will be Fallshirmjäger trying to secure the airport of Ypenburg. We have checked maps and after-action reports in an effort to build the north-eastern part of the defences. On my lot fell printing of this windmill and a couple of barracks (on the painting table now), as well as building all the canals. So, here’s the first finished piece, a windmill that pumped water just outside the perimeter. 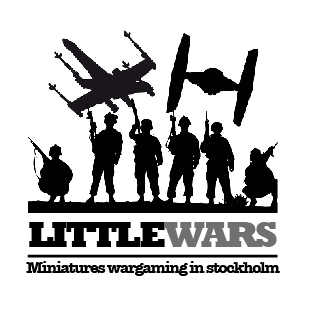 It comes from the World at War II kickstarter, and can be bought from Jens’ webshop as part of a bundle. It is originally scaled for 20mm gaming, but easily upscaled to 28mm. Unpainted on the painting table. I’m also building a small hill with culverts to put it on. But that’s not finished yet. A huge crop this time. Enjoy! Jens of 3D-Print-Terrain is here with a new campaign, this time with a medieval theme. 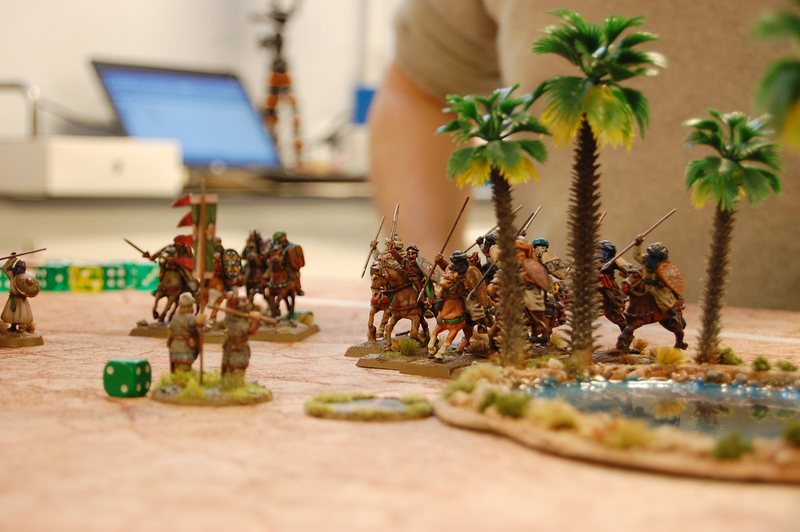 The files are scaled for 20mm gaming, but I know from experience that they upscale well for my 28mm games. The great thing about 3D-printing is the ease of changing printing scales. You’ll find very nice-looking houses, town walls, some fantastic cogs, siege weapons and more. My favourite would be the working trebuchet. Great! Well, the cogs are favourites, too, actually. Well worth a look, as always with Jens' stuff. Do it on April 21 2019 at the latest. We go from medieval times to gothic with this kickstarter. Here you’ll find stuff for your cemetery or crypt. Fences, a gate, mausoleum, coffins, piles of skulls and more. What’s not to like? My favourite is the wooden coffin, as that is so useful everywhere, from fantasy, to wild west to pulp. Check it out before April 17 2019. The step from gothic to fantasy need not be a long one, especially not if you’re into graveyards. This campaign from Hayland Terrain comprises a collection graveyard walls, graves and crypts. On top of that you’ll find a Yak (!) here, stuff for a market (always useful that!) and town square, everything you need for a tannery and dwarven brewery and more. If you missed the previous fantasy kickstarter you’ll have a chance to get that also. My favourites are the market stalls, as I’m building everything needed for a sprawling market and you can never have enough stuff for that! Check out the stalls and everything else before this kickstarter ends on April 14 2019. We’ve had our pick of graveyards with the two previous campaigns, so it is about time to find something that will inhabit said not quite final resting places. What could be better than lots and lots of undead? Free minis! What's not to like? Here’s your chance to print a horde of skeletons, zombies and other creepy and not quite dead creatures. If you would like to see if your printer is up to printing what’s on offer you can download a zombie and a skeleton for free! I did and will print at least the zombie soon. My favourites are the zombies, as you can never have enough zombies. The archer skeletons are also sort of favourites. Check it out on April 27 2019 at the latest. There shouldn’t be undead in space, but if you would like a zombie infestation, then this future industrial sector could be just the place. It will off course work equally well for rampaging aliens or monstrosities from beyond space and time. You’ll find OpenLOCK-compatible modular tiles to build your industry, and also accessories, vehicles and more. My favourite is the little spaceship that just might be unlocked. Check it out before April 15 2019. The industrial sector need somewhere to unload everything they produce, and this could be just that place. You can build lots and lots of buildings with this modular set. You’ll get walls, floors, roofs and small stuff to give detail and life to your setting. Great stuff with everything needed to build a table full of buildings where you can let your favourite Luke Spacewalker have adventures. My favourites are all the greebles, that is, all the antennas, hatches and other small details. Very useful for all your Sci-Fi buildings. Check it out before April 28 2019. So you have a factory and a desert town. All that is needed now is something threatening. Something that can annihilate both buildings and heroes. What better than an army of mechas? They are modular, meant to be assembled with magnets to give you maximum flexibility (but I guess you can just glue them together if that’s your preference. Lots and lots of bodies, legs, gun-pods, arms, missile pods and more. You could literally build a legion of these and have them all look different. Fun stuff. Hard to pick a favourite among the gazillion variants. I guess that is my favourite – the flexibility to build what you like. This kickstarter ends on April 28 2019. All photos, renders and illustrations © 3D-Print-Terrain, Medusa Miniatures, Hayland Terrain, Klingbeil, Eskice Miniature, Michael Novelo and David Lee Seymour respectively and used with permission.